42 years ago, this band played my home town. 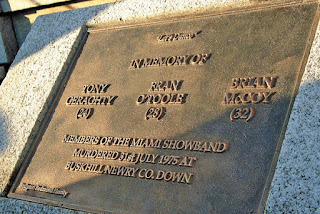 On their way home, they were stopped by loyalist murderers (the word "terrorists," in those days, meant mass murdering, public scaring bastards-White OR brown,- Nowadays the term is almost a racist term) posing as army and three of them were executed - the others left for dead. Terrorists and killers have always operated in my perceived political position. I'm perceived to be "the west," and Bush, Blair, Obama, Brown, Cameron, Thatcher or May order death on my behalf every day. I'm perceived to be socialist- and some who self identify as that kill and maim for the liberation of mankind. Im perceived to be a consumer and people and animals are killed for my "needs" and wants and must haves. 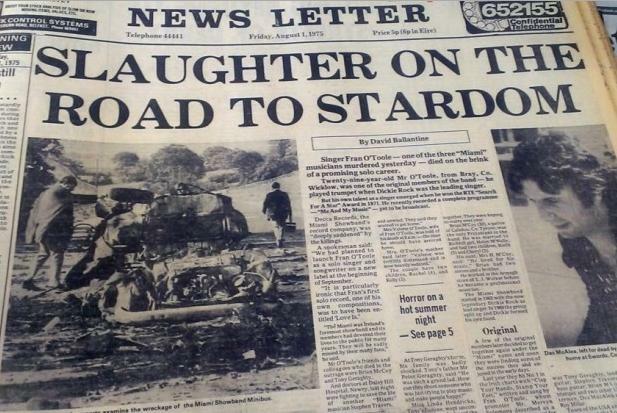 And when in Northern Ireland, either all Ireland'rs, or British Nationalists killed and maimed in my perceived name. None of it is. No death, no injury to support ANY cause is in my name. 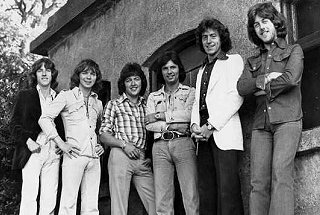 When the Miami Showband were massacred, it was in the name of "Britishness." I don't accept that. Those who carried this out, those still living, were no soldiers on the side of right. And they are in a living hell, knowing what they did. 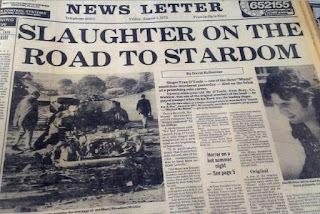 I am not freer or happier because of the deaths of these musicians who shared their joy in Banbridge that night 42 years ago. And I am ashamed to say, Banbridge has no memorial to these and other innocents killed in the name of some sort of perceived freedom. No place of contemplation for the musicians, music lovers, daughters, sons -lives- extinguished agonisingly and with dreadful consequence, in the name of perceived freedom, soul, borders and flags. Murder tacked on to any ideology is not in my name, every bit as much as murder by men for their sexual gratification; murder by a drone guiding soldier for his pay cheque or murder ordered by those either I voted for to bring equality and equity closer- never mind those in power I would never vote for. If ever there was a symbol for needless, shameful murderous madness, it is the deaths of the Miami Showband- and the excuses made by people afterwards to justify the slaughter of young men, sons, husbands,friends who loved to play musical instruments and sing. Image, learning, self indulgence, addiction. Me.